Grace is defined as God’s unmerited favor. That is, grace is God doing good for us that we do not deserve. It’s been a rough few days here at the office. I had unintentionally let some things slide through the cracks in some of my projects and now my mistakes are all being discovered all at one time. Yikes! Not good. With all these mishaps, I am feeling very much on edge thinking that I may get fired any day now. How could I let so much go wrong in such short amount of time? And in the midst of the tension, my email has been surprisingly silent. I thought surely I better start packing up my things and updating my resume. Then yesterday after lunch, my boss came to my desk. He leans over my partition wall, hands me a napkin and says, “Here’s half a cookie. 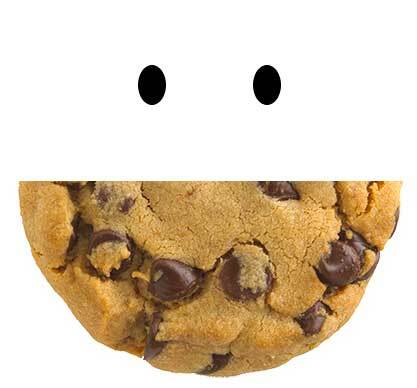 I cut it in half so that it makes a smile for you.” How sweet (pun intended). He knew how I was feeling and wanted me to feel better. Shortly after I got the cookie, I heard a silent voice from the Lord say to me, “you are given grace.” Almost immediately, tears filled my eyes as I stared into the air. The Lord was telling me that I was being extended grace and that things were going be okay. This whole week I had been thinking about what the punishment and consequence were going to be for my bombing mistakes, but instead I was given grace. Wow, such a God-like gesture. He’s giving me grace and mercy. Aside from the Cross, I think this is the biggest act of grace I can remember. Then, to reinforce His message, the Lord confirmed “grace” to me when the Holy Spirit prompted me with the song “Only Grace” by Matthew West. Praise to You, Jesus. For You have used this to bring glory to Your Name. Let me always remember Your act of grace and the acts of grace from others. This conforms us to Your image. And may I also extravagantly extend grace to others. Thank You for Your peace despite the difficult situation. Glory be to Your great name. Pursue peace with everyone, and holiness — without it no one will see the Lord. See to it that no one falls short of the grace of God and that no root of bitterness springs up, causing trouble and by it, defiling many. I went to visit a friend’s church in Merced, California a few Sundays ago, and the worship team played this song, Only Grace, by Matthew West. I’ve heard this song many times on Christian radio, but there was something different about it when I saw the words up on screen at the service, especially the first few verses. Immediately, the first thing that came to my mind was an old friend that I hope knows I’ve forgiven him. Despite what happened in the past, I want him to know not to feel guilt, not to feel shame, I’m not pointing fingers or playing blame, I only want to be an extension of grace.